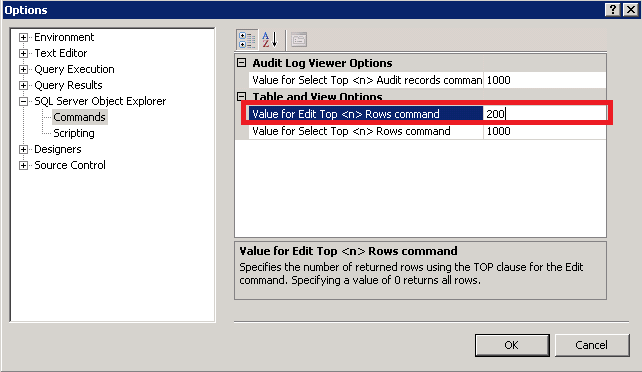 SQL Server 2005 and earlier versions had an Open Table command available when you right-click a table. 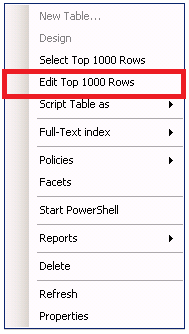 This allows you to open the table and make edits to fields. 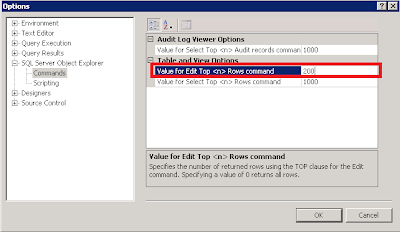 In SQL Server 2008, the Open Table command is replaced with the Edit Top Rows command. The default for this is 200, which of course, is obnoxious. After modifying the setting, you will see that the menu is updated accordingly. Microsoft (2010). 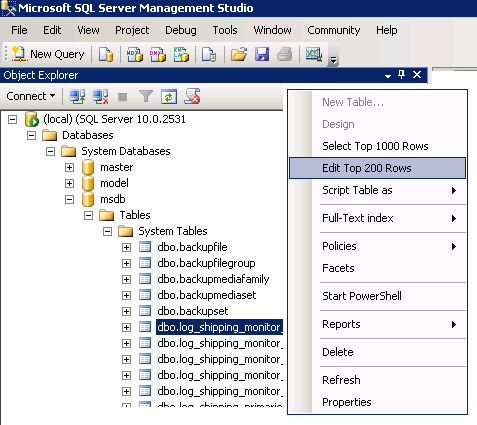 Options (SQL Server Object Explorer/Commands). Retrieved December 2, 2010 from http://msdn.microsoft.com/en-us/library/cc280381.aspx. Thanks for teaching how to change this setting! 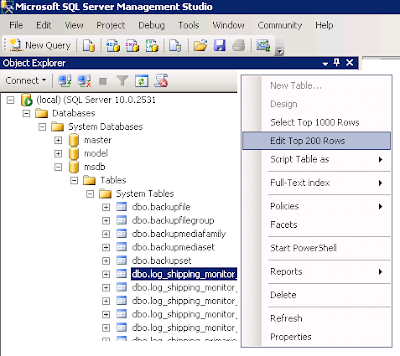 I'm still new to SQL Server 2008 and currently enrolled in a Sql training program.